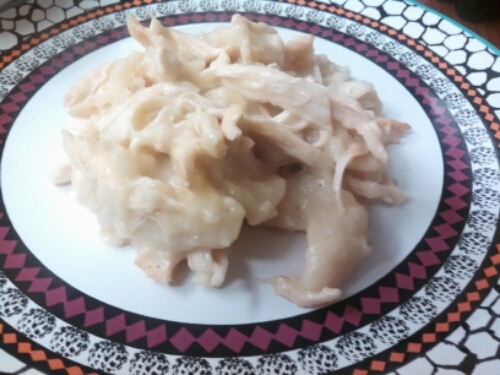 A few days before Christmas Eve, I decided to make these chicken and dumplings by Eat at Home for dinner. My nieces were staying at my mom’s house, and they came over for a bit so that my mom could go grocery shopping. It turned out to be a huge blessing, as my 9 year old niece is the reason this dish even turned out semi-successful! But…the dumplings. First of all, cutting butter into dry ingredients then mashing with a fork doesn’t work. It just doesn’t. Don’t even pretend it does. I tried SO MANY TIMES (including rolling out into dough, realizing there were just huge chunks of butter, then mashing more). In the end, there were still chunks of butter in the rolled out dough, but after the huge mess of all the flour, etc., I just didn’t care enough to fix it that time. Also, it was so sticky. Like, REALLY STICKY. No amount of flour in the world would fix that. 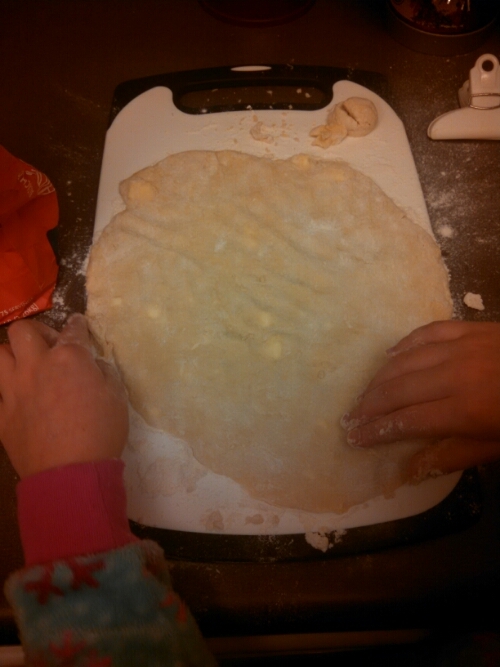 But my sweet, little niece, she worked at it and worked at it and was able to spread out the dough and then we were able to cut it, though it started to get overly sticky again, and I had to heavily flour the knife. 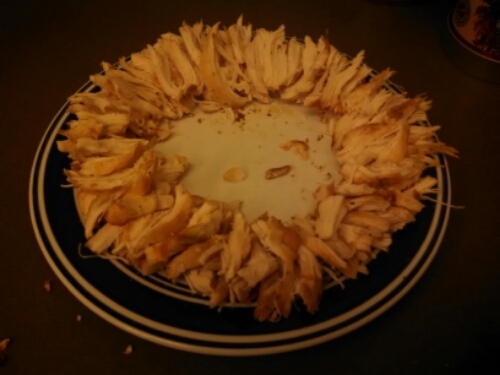 Also, my niece had a great time shredding the chicken and arranging it on the plate. I should hire her or something! She is quite the kitchen helper. 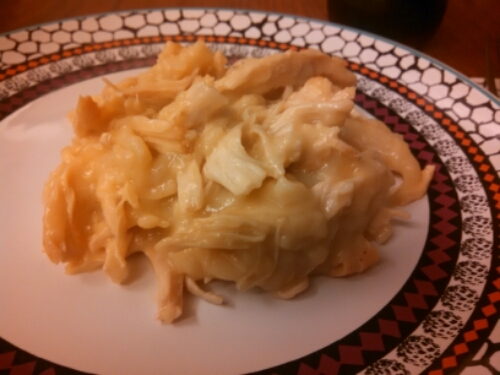 In the end, it was more like chicken’n’dumpling-mush. That sounds gross, but it wasn’t. It actually did end up being pretty tasty, but it was not quite the way it should have been. Have any of you made dumplings before? I am quite intrigued now! -In a bowl, combine the flour, baking powder and salt. Cut the butter into the dry ingredients with a fork or pastry blender. Stir in the milk, mixing with a fork until the dough forms a ball (better idea – use a hand beater or electric one). -Heavily flour a work surface, then roll the dough out thin with a heavily floured rolling pin. Dip your cutter in flour and cut the dumplings in squares about 2″x2″. -Use a floured spatula to put them on a heavily floured plate. Just keep flouring between the layers of dumplings. -Bring the broth to a boil and drop the dumplings in one at a time, stirring while you add them. The extra flour on them will help thicken the broth. Cook them for about 15-20 minutes or until they not doughy tasting (mine took 25 or so minutes). Add the cooked chicken to the pot and heat through, then serve. -Tip: You can also freeze the uncooked dumplings for later!